Do females in fitness need different nutrition to men? YES! 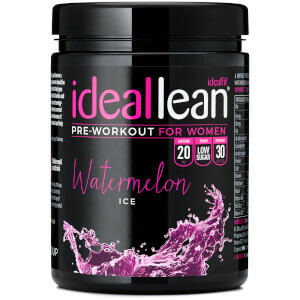 Our Pre workout and BCAAs are formulate by women for women using a ton of specific ingredients to support your progress & health. Our bcaas contain a 2:1:1 ratio of branched chain amino acids with added glutamine, coconut water powder, magnesium and a complex vitamin B blend. This blend is great for recover and can contribute to delaying tiredness and fatigue too! Our vitamin B blend also contains B12, B5 and B6 which are specific vitamins to enhance your energy levels - as well as biotin which has hair and skin beauty benefits. Our pre workout isn't like other brands - we don't load it with caffeine - which did you know actually inhibits performance? We use just the right amount of natural caffeine to boost your energy levels and have added ingredients such as beta alanine, vitamin B6, B5, B12, tyrosine and phosphatidyl serine which are all used to support and boost performance in the gym. This blend will leave you feeling energised pre workout and will help you push to new personal bests.